CloudBerry Lab has released CloudBerry Backup version 1.3 – an application that allows users to backup their data online to their Amazon S3 accounts. 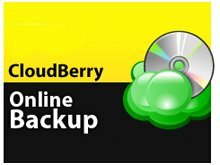 CloudBerry Backup is also available as a Windows Home Server add-on. It integrates with the WHS console and offers scheduled backup to cloud storage, hosted on Amazon S3. Barracuda Networks announced the European launch of its Barracuda Backup Service, a local and cloud-based data backup and disaster recovery solution. It combines the Barracuda Backup Server for restoration on the local network with the Barracuda Backup Service, a cloud-based backup service hosted by two data centres in Europe. Channel Data has released the REO Business Continuity Appliance (BCA) from its principal, Overland Storage. An ‘all-in-one’ business continuity solution, the REO BCA is designed for both continuous local backup and remote disaster recovery applications. It is positioned as a flexible data replication solution, enabling automated recovery of mission-critical data and applications at both the local data centre and remote disaster recovery levels. EMC has launched a new version of its Mac backup software Retrospect. As well as adding back support for PowerPC-based Macs, Retrospect 8.1 also improves performance on Intel-based Macs. Verbatim is to mark its 40th anniversary by releasing a limited edition ´gold` portable external hard drive. The gold-coloured UV coating of the special Anniversary Edition, houses a 500 GB 2.5" hard drive that includes easy-to-use backup and synchronization software. Elan is launching an adapter that allows an external USB hard drive to be plugged into a cellphone’s micro-SD slot. Once connected using the Mobidapter, files can be transferred and backups made without the need for a PC. INTERVIEW: Sanjiv Parikh, vice president of marketing for FutureDial, talks to smartphone-biz.news about its mobile content management service and its potential to generate revenue for operators and retailers. The company’s Retail Management Solution (RMS) 4.0 allows mobile content to be directly loaded to handsets at store counters – an industry first. Less than a fifth of consumers regularly back up data on PCs, according to security solutions firm Webroot. Its latest research report, “State of Internet Security: Protecting Your Digital Life”, also shows that nearly one in five users had never backed up their personal files. Storage expert Western Digital has launched a standalone media box that streams content from your USB drive. Rather than hooking your computer to your HDTV and streaming video and other multimedia files, the WD TV HD Media Player accepts content from a separate WD portable backup drive.